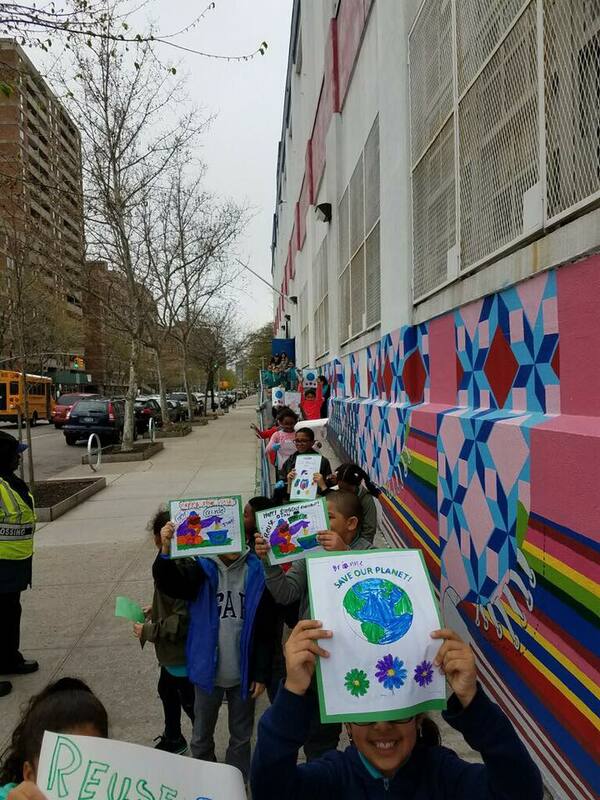 In honor of Earth Day, the students of class 2C created posters and went on a community walk in an effort to raise awareness about environmental issues. Along the way, students helped clean up the area around our school and recycled plastic bottles and cans. Thank you class 2C for helping to protect the planet! En honor al Día de la Tierra, los estudiantes de la clase 2C crearon carteles y emprendieron una caminata comunitaria en un esfuerzo por crear conciencia sobre temas ambientales. En el camino, los estudiantes ayudaron a limpiar el área alrededor de nuestra escuela y reciclaron botellas de plástico y latas. ¡Gracias clase 2C por ayudar a proteger el planeta!